In the comics she is a member of the Justice League, and Arrow actually wouldn't be her first live action appearance. 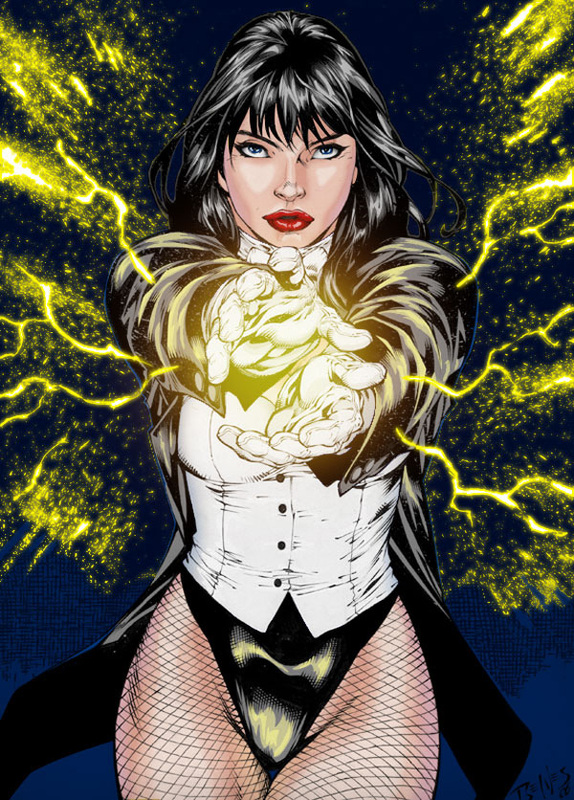 Zatanna was a recurring character in the final three seasons of Smallville, played by Serinda Swan. She is perhaps the perfect level of superhero to be introduced to Arrow and then simply exist in the universe - ready to come back in whenever needed. Given the fact that John Barrowman is included in the Tweet, the real answer to the puzzle may not be that interesting. It's very possible that this title is simply a reference to Malcolm Merlyn (get it? Merlin/Merlyn?). Or maybe it's pointing towards Ra's al Ghul. We need more information! After finishing its second season earlier this spring and concluding with Oliver Queen being victorious over Deathstroke and his army, Arrow will be coming back for Season 3 on Wednesday, October 8 at 9:00 p.m. ET on CW. No longer the only superhero show on the network, the series is being joined by the spin-off Flash this fall. It will be making it's world premiere one day earlier, set to start airing at 8:00 on Tuesdays beginning October 7th.